Love Kiojo like we do? 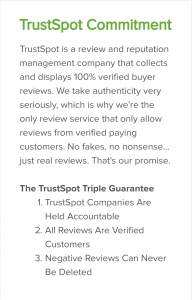 Become an affiliate! YOU HAVE TO TRY KIOJO! 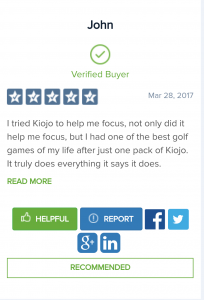      I tried Kiojo to help me focus, not only did it help me focus but I had one of the best golf games of my life after just one pack of Kiojo. It truly does everything it says it does!      My experience with the nutritional energy drink, Kiojo has been very positive. I am an early morning riser with lots of energy until about mid-afternoon; at that time I have a tendency to grab food to revive my energy level, and I usually end up eating unhealthy carbs which in the end leave me feeling heavy and tired again. I was introduced to Kiojo and instantly was excited to see if this product could stimulate and sustain my energy level without the calories or sugar or caffeine. 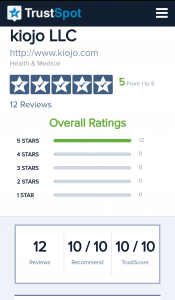 I am truly amazed at the positive impact it had on me almost immediately. Not only is this convenient to mix with cold water, but it taste good! I felt focused, energized and ready to teach my evening yoga classes! Incorporated with a healthy and well-balanced meal plan, kiojo makes an excellent choice as an energy supplement. 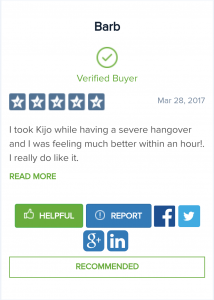      I took Kiojo while having a severe hangover and I was feeling much better within an hour! I really do like it.. I'VE NEVER BEEN SO ON POINT.      This stuff is nothing short of amazing! I take it around the 3 O'clock slump and I become focused and have energy after to work to do the things I love. Also ladies, this works wonders on menstrual cramps, it helps almost immediately. Kiojo is my partner for life!      It helps me focus and calms my anxiety throughout the day. I usually take kiojo in the mid afternoon and I have no more brain fog with an extra boost of energy! 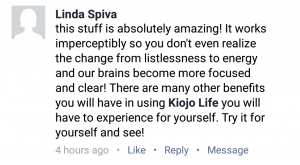      What amazed me about Kiojo was the elevated sense of focus I experienced after just one week of daily use. My internal drive was strong and balanced, giving me a seemingly endless flow of energy to tap into when needed. As a Martial Arts Instructor I have to- without question, be on full alert while being relaxed enough to handle any situation that arises during my training sessions. Kiojo for me fueled the necessary key elements internally from the first half hour used to no less than 12 hours later without any side effects or heavy drop in energy. 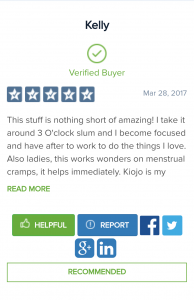 Kiojo was perfect for me and my on the go schedule-and the outcome continues to be a positive experience! Put yourself first on this one and Try It, my guess is your testimony will be here right along with ours. I feel much more relaxed and calmer when I take Kiojo. I am a teacher and I started taking Kiojo my first week of school which is usually the most stressful time. But since I started sipping Kiojo throughout my day I am less stressed and can stay focused all day long. I am hooked on it! Thanks Kiojo!